After reading this post and several of its comments, I started to think about the chronic gendering of nature, which our [Western] culture has been guilty of throughout history; not to mention the inherent stigma attached to femininity. Among many thoughtful messages of safety and well-being, I received several texts and tweets referring to the so-called-bitchy nature of (Hurricane) Sandy: her brutal wrath; hell hath no fury like a woman scorned, etc. The implications of which are dangerous in reifying negative female stereotypes about uncontrollable emotional rage. 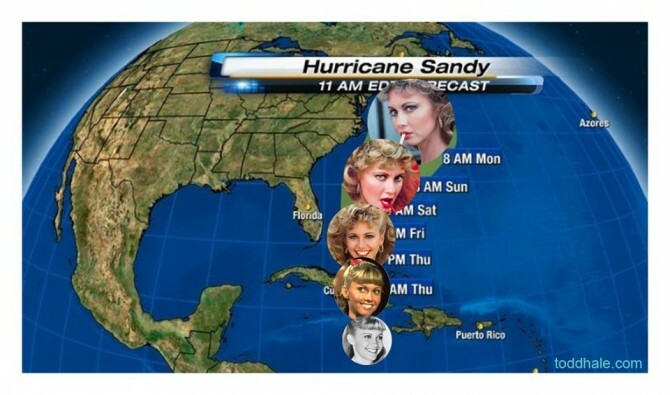 Let us remember we are discussing a hurricane and not a woman when we discuss “Sandy” and its devastating effects. After all, many individuals refuse to conform to one such categorical gender, so why force natural disasters into that same [false] binary construction? But beyond name blaming, there are many other issues surrounding this recent disaster, which indeed necessitate a feminist critique. And that leads us back to the discussion of a hurricane – the second consecutive hurricane to DIRECTLY impact the New York-New Jersey area, among many other 2011/2012 tropical storms, since 2011’s Hurricane Irene. Now I may not be very old, nor wise, but I have lived in southern New York all my life – that’s twenty-some-odd years – and I can assure you that THIS IS NOT NORMAL. What I mean by normal is normative weather for a location like the north-eastern United States. And if you haven’t already guessed it, yes I am referring to global warming. Ding, ding, ding, ding, ding! I said it: the controversial buzz word of all dismal realities. And I hope it goes without saying that what New York & New Jersey are experiencing right now include the devastating effects of one such complicated occurrence. New York City Mayor Michael Bloomberg has publicly announced his support for incumbent presidential candidate Barack Obama on the basis that opposing candidate Governor of Massachusetts Mitt Romney has not adequately acknowledged the effects of man-made global warming and thereby has not contributed to the safeguarding of our fair city of New York (and not to mention the planet). 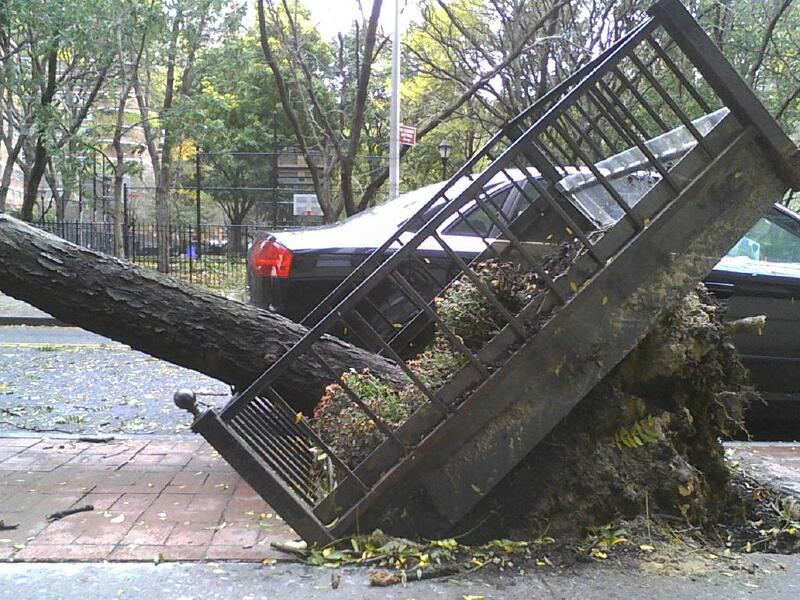 I took this photograph right outside my sister’s apartment on East 26th Street, between 1st and 2nd Avenue in Manhattan on October 30, 2012. So what makes climate change a feminist issue? Climate change is planetary change, meaning it affects every intricate level of [human] life. It dictates population control policies, public control over drinking water versus private, adequate access to contraception, education and the right to work, to name a few. So as New Yorkers, we are currently dealing with the immediate effects of Hurricane Sandy – in the wake of all its chaos and destruction – but I encourage all my fellow citizens of the planet to wake up and observe the larger picture, the one that is STARING us all in the face. I love how you said “climate change is planetary change”. As an environmentalist, I love to see people making connections like that and speaking out on the importance of it, especially with the upcoming elections. Amazing post. Thank you so much! Love to connect w/ fellow protectors of the environment 🙂 I so much appreciate your feedback! Forgive me for being cynical, but I think it’s going to get worse before it gets better. There are simply too many moneyed interests and not enough people willing to sacrifice their current standard of living to challenge the status quo. We’ll probably end up spending more time, energy, and innovation on trying to adapt to climate change rather than stopping it from progressing.